Rebecca Chan Weddings & Events specializes in planning beautiful, luxury weddings and events in Toronto and abroad. Discerning clients hire us because they want a beautifully styled event and they trust the best to execute their vision. We look forward to celebrating with you, whether it be an intimate occasion, lavish wedding or something in between. 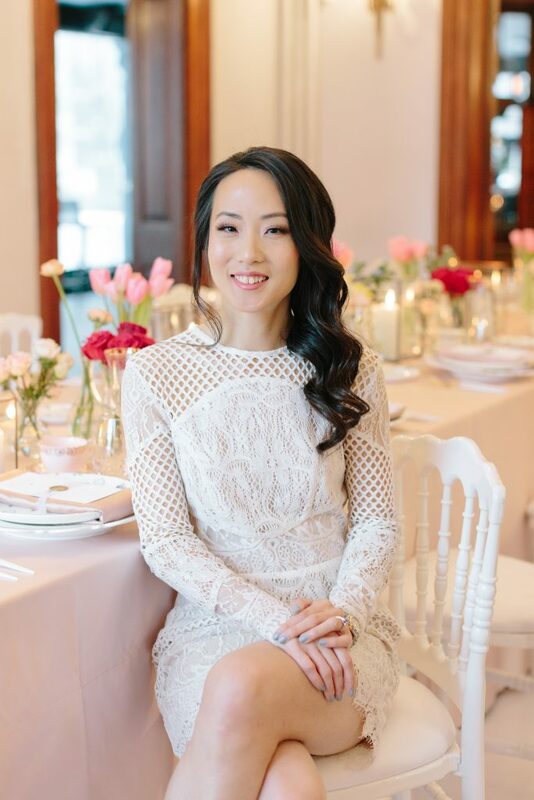 Wedding planner and lifestyle expert, Rebecca Chan, has built a name for herself as one of Toronto’s top wedding planners, known for impeccable taste and effortlessly styled celebrations. Having orchestrated events for over a decade, Rebecca continually approaches every event with her trademark calm demeanor and eye for detail. Media appearances include Cityline, Breakfast Television, Toronto Star, CP24, Macleans, Huffington Post, Moneysense, Newstalk1010 and BlogTo’s Top 10 Wedding Planners List. Rebecca’s weddings have been featured in Wedluxe, Style Me Pretty, Elegant Wedding Magazine, 100 Layer Cake, Wedding Chicks and other publications. Rebecca is also a judge for the prestigious BC Wedding Awards. Client list includes author Rupi Kaur, Lucas Noguiera of the Toronto Raptors, Natalie Kalata of CBC, actor and producer Jesse Lipscombe and Patrick Ghee, former Washington Redskins defensive back. Rebecca is classically trained in fine arts, graphic design and event design production. Rebecca speaks English, Cantonese and Mandarin. Rebecca believes that celebrations should be both beautiful and stress-free. Rebecca is now booking for 2019/2020 for a limited number of discerning couples and she is available for destination wedding planning. 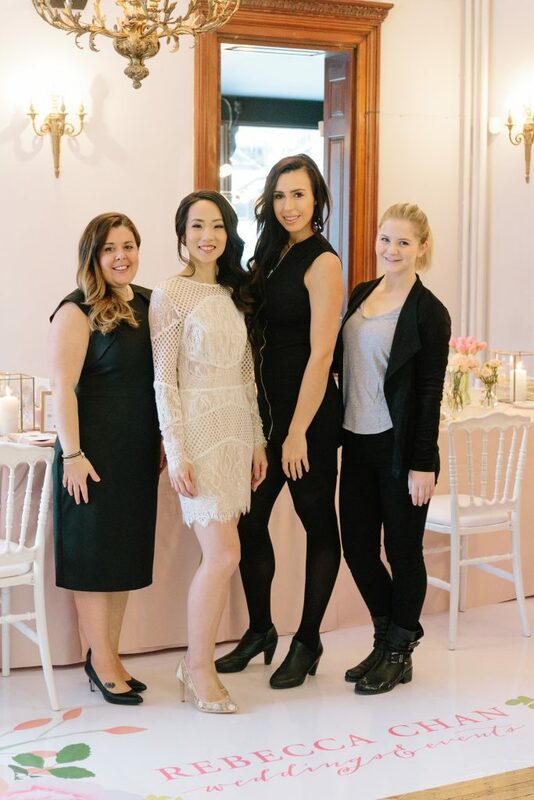 The Rebecca Chan Weddings & Events team are wedding planners who have apprenticed and trained under owner, Rebecca Chan, and are certified with the Wedding Planners Institute of Canada. We work tirelessly behind the scenes to create a well executed event, we have relationships with the best vendors in the city and we love to celebrate. You will be in good hands with our team of detailed planners and coordinators! Veronique is one of our passionate wedding planners ready to take care of your needs on your big day. Having worked with Rebecca Chan Weddings & Events for over four years, she is a dependable and professional option for couples looking for a wedding planner. Having planned events since her teenage years, she has grown her passion for events to include charity fundraisers, baby showers, and, now, weddings. She is known to have a great sense of fashion, is kind-hearted and loves working with couples. 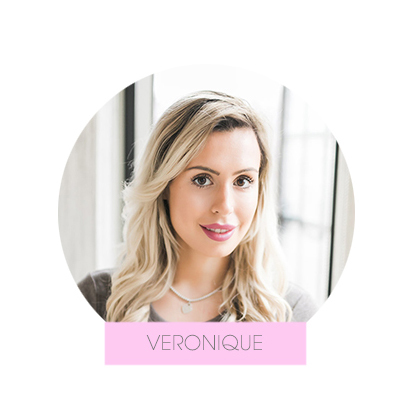 Veronique is classically trained in marketing, and is bilingual in French and English. She always goes the extra mile to take care of the details. She looks forward to helping you with your wedding day! Tanya is a wedding coordinator with a take-charge attitude and artistic edge. Her background in visual merchandising, event design and floral design will come in handy when styling your wedding day elements. If it's design-related, you can bet Tanya will help you style it beautifully. Having planned events, galas and parties for over a decade, her experience and eye for detail will shine through when you need it most. Her favourite part of a wedding is watching a couple's first dance, when they get a chance to take it all in and enjoy the day. On her time off, she is planning her next day trip, social gathering or vacation. She is also a hopeless romantic at heart and can't wait to help with your celebration! To get started on planning with Rebecca Chan Weddings & Events, contact Rebecca today with details of your wedding.